It was October 2008, my first year in Dubai, when I saw thousands of pink balloons in the air and a huge crowd, in white shirts and pink caps, in the street of Bur Dubai. Pink is an eye-candy for me, so I stood on the side walk, mesmerized, wondering what the event was. Then I learned, it was the annual BurJuman Pink Walkathon, the highlight of the Safe and Sound Breast Cancer Awareness Campaign. Witnessing the event gave my favorite color a deeper meaning. Pink is not just a shade for femininity and love, it is also a color of faith and strength. 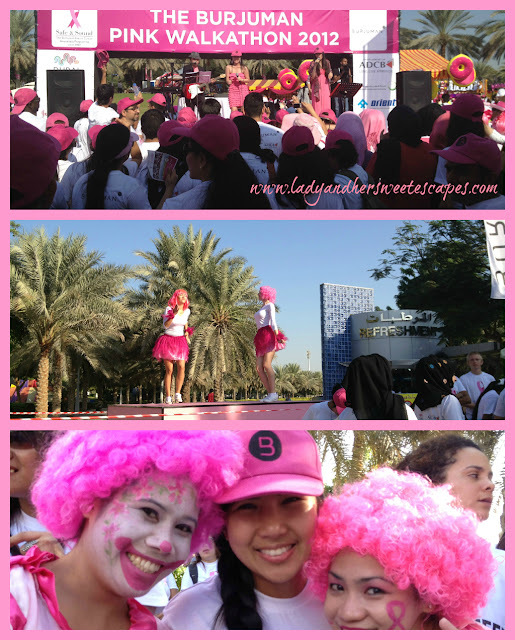 Last Friday, I finally had the chance to participate in the Pink Walkathon. 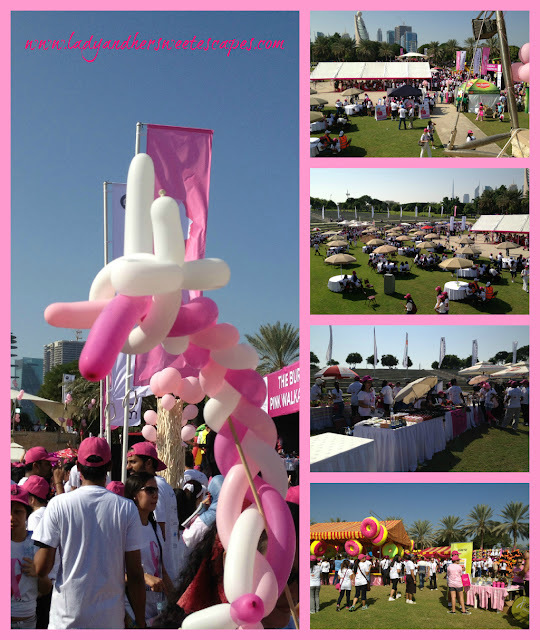 I was one of the 13,000 people who joined the event in Zaabeel Park. Registration fee, with a free shirt and cap, was 50 AED for adults. All proceeds from the event went to the Breast Cancer Awareness Program, free mammograms and patient care. 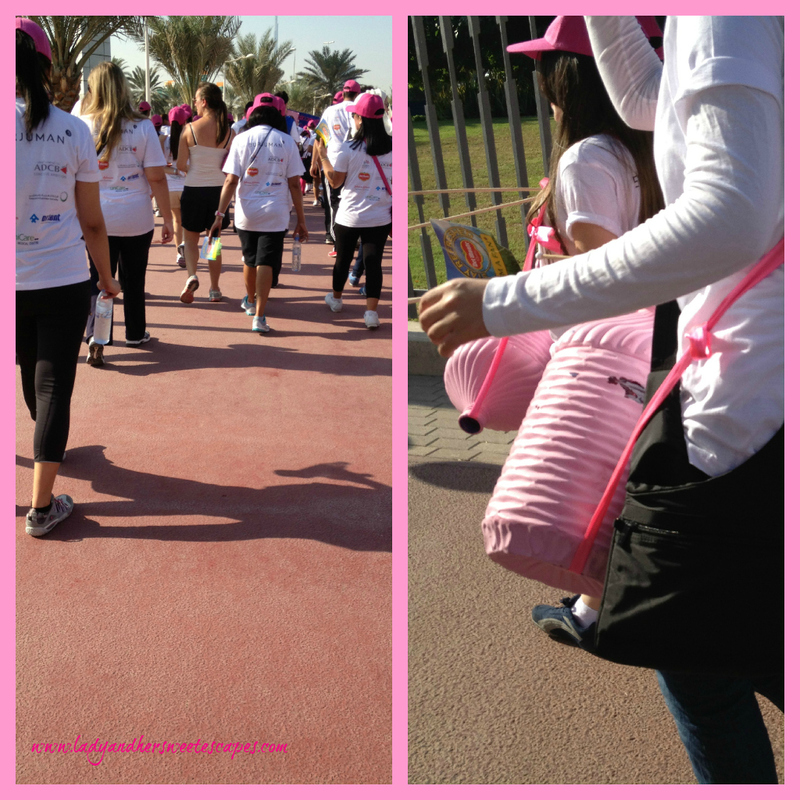 The 2 Km Walkathon at Zaabeel Park started at 8:30 AM. It was a hot morning, but I barely noticed the time and the distance. People chanted some cheers while walking. There were school girls who created music with their improvised drums. My friends and I enjoyed the pre and post walk entertainment at Zaabeel Park. A live party band performed in the middle of the park. Two girls, dressed up like Katy Perry, danced to the beat. Clowns roamed around the park and painted the Pink Ribbon logo on our cheeks. We never felt hungry nor thirsty as we received fruit packs and juices from Del Monte, and several Masafi water stations were in the area. We also had a walkathon souvenir photo at Del Monte's photobooth (lower right). Aside from the free breast exam voucher given at Burjuman Center, there was also a booth for free health check-up on site. The event was loaded with activities for both kids and adults. There were bazaars and carnival games. It was a "Pinktastic" morning! 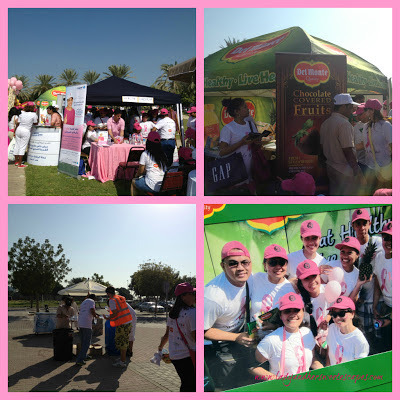 It felt great having fun while raising funds for the Breast Cancer Awareness campaign. I walked because I care. 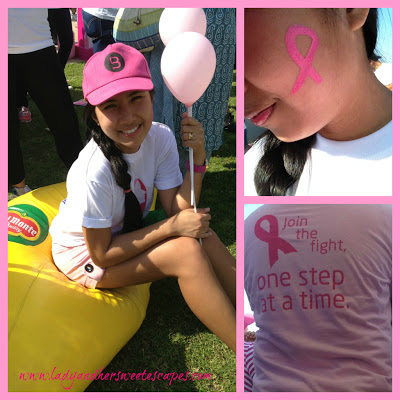 The steps I took are for my friends who have lost their loved ones, for those who are fighting and for all the survivors of Breast Cancer. Let's join the fight. Let's paint the town pink! Let's all join forces to fight breast cancer!! Let us all promote Breast Cancer awareness. I hope this kind of event can happen here at my place as well. Aside from running, why not a walkathon for a cause for a change. 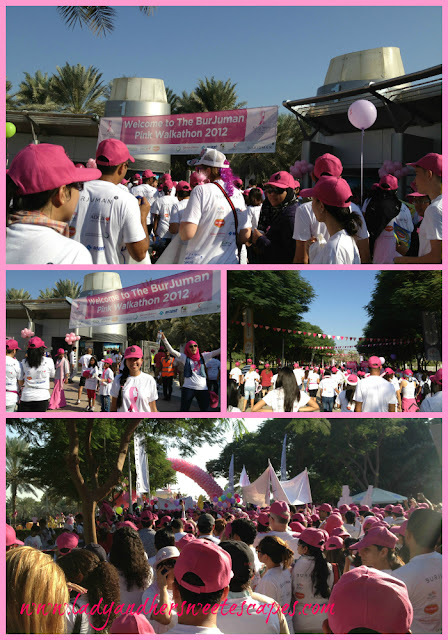 That's a very pink WALK... this year Zamboanga did not have a Pink Run! But we opened the first Digital mammography in Western Mindanao at the Ciudad Medical Zamboanga just last October 18. Wow ang saya naman. Staying in Dubai is really fun because you can be involved with a lot of activities. We're staying in Sharjah kasi hehehe! Good thing about these events are bringing awareness and keeping healthy as well. Dubai is so pretty and clean. Cases of breast cancer is becoming rampant nowadays. It must been a really fun and meaningful experience for you. Great to read that they are bringing more awareness about breast cancer. Wow! A very successful event indeed! :) Hope to join on these kind of events soon! We all should be aware and continue to support our fellow gals out there. PappaRoti: Love at first Bun!